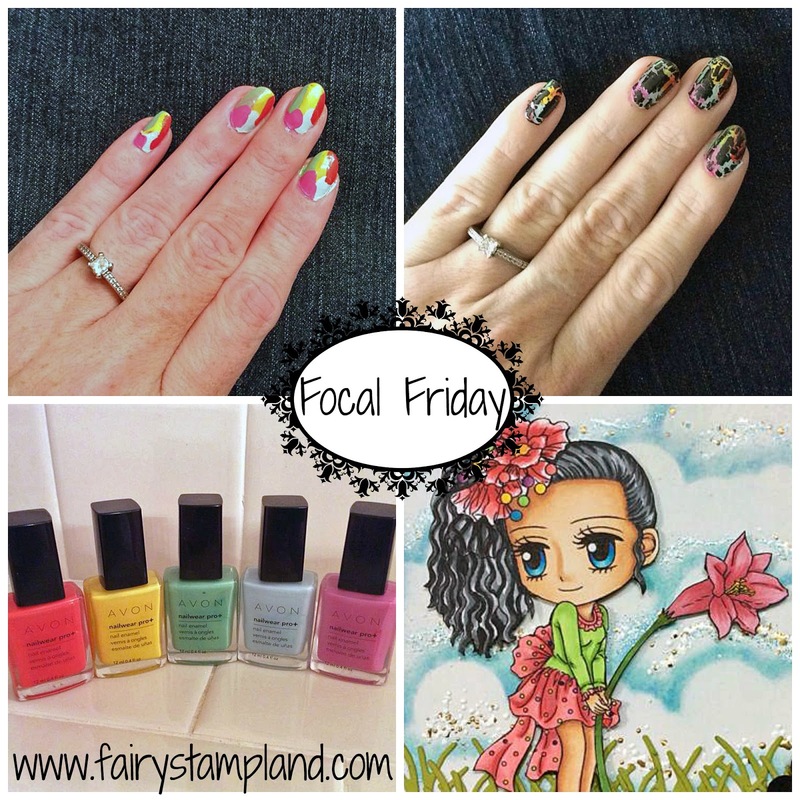 I am super excited for today's Focal Friday post. I had some fun with my nails this week and decided to use the colors for this weeks inspiration. If you would like more information on this nail technique feel free to contact me using the left sidebar. Now to my project. I am excited to try out for The Art By Miran Design Team. I once served on the Treasured Times Design Team and we were blessed to get to use Art by MiRan Stamps. 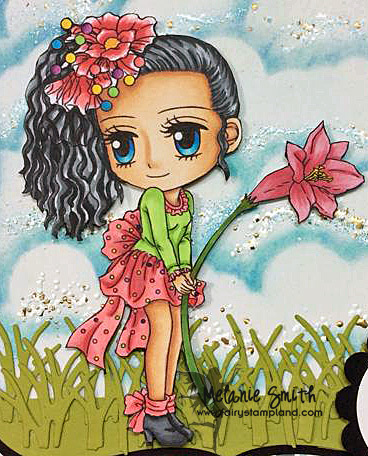 I have always loved these images/stamps and getting to promote their designs once again would be exciting! My color scheme from the card has come from my wild and crazy nails. It was a challenge, which is why I love to design using inspiration, but I really like the way it turned out. 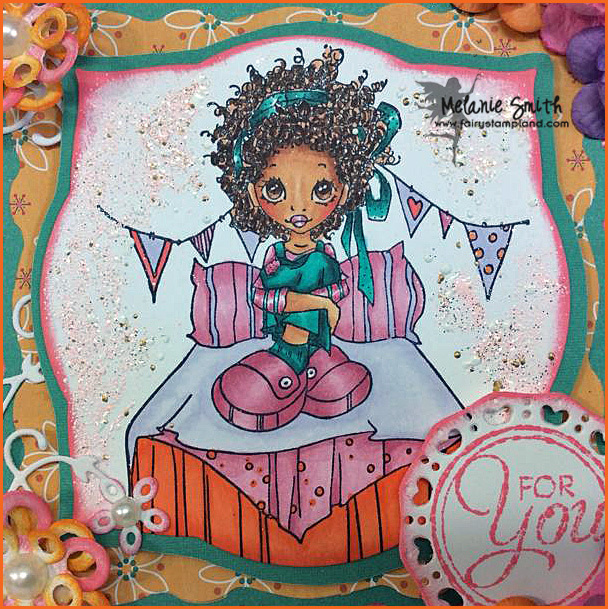 Usually I would add a lot more embellishments to a card but I really wanted the focal to be this adorable image and the beautiful scene I have created. Here is a simple tutorial to show you how I created the cloud background. 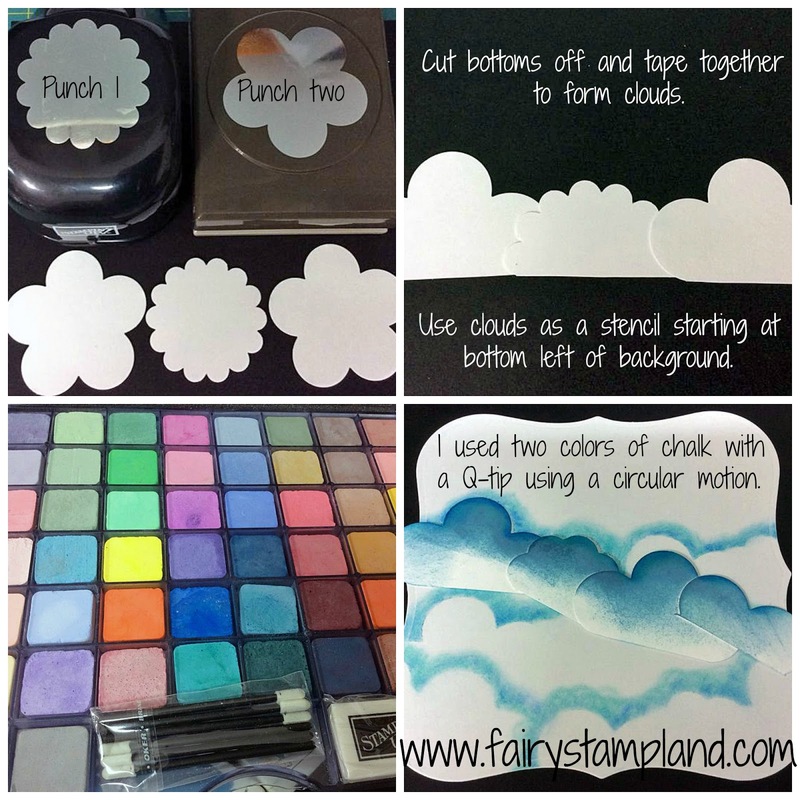 I used two Stampin' Up! punches along with some chalks. As you can see I just simply cut the bottoms of the punches off and taped them together to form my own little mask. Then I worked with two different chalks until I got the effect I was after. Please visit The Art By MiRan Design Team Call and check out all the amazing talent. Click HERE to purchase MiRan Digital Images. 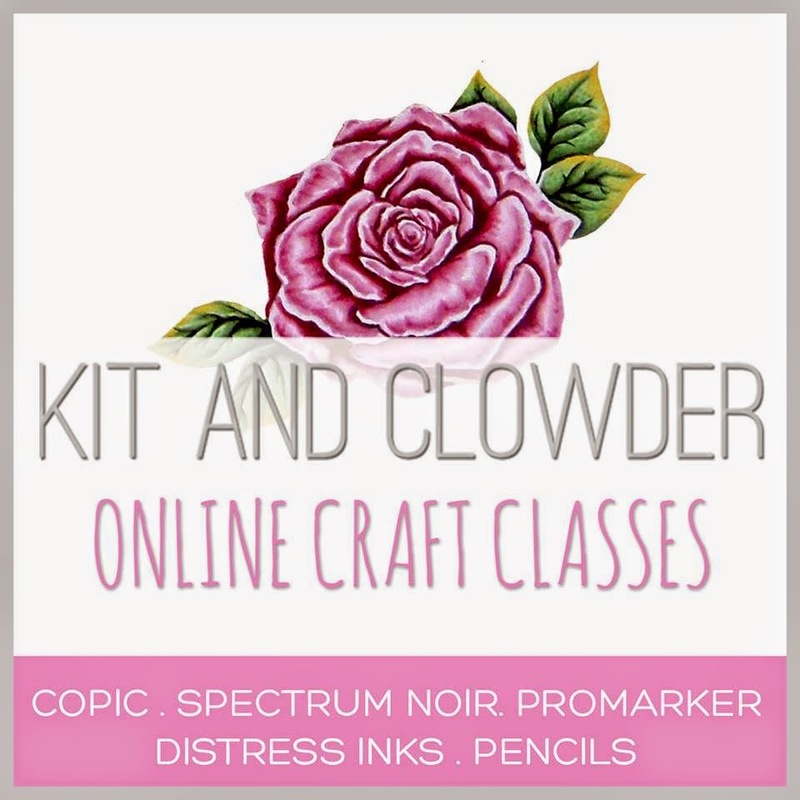 A lot of you may already know this but I participate in the online coloring community called Kit and Clowder. I cannot express how much I have learned from these classes. In April I signed up for their online monthly project subscription and I am so happy I did. I have created an amazing piece of art that I would like to share with you. Alyce Keegan's way of teaching is perfect for any skill level. I don't believe I could ever of mastered this piece without her amazing guidence. I am a member of 8 of her online classes as well as the Monthly Create and Learn project class. To check out all of Kit and Clowder classes simply click HERE! 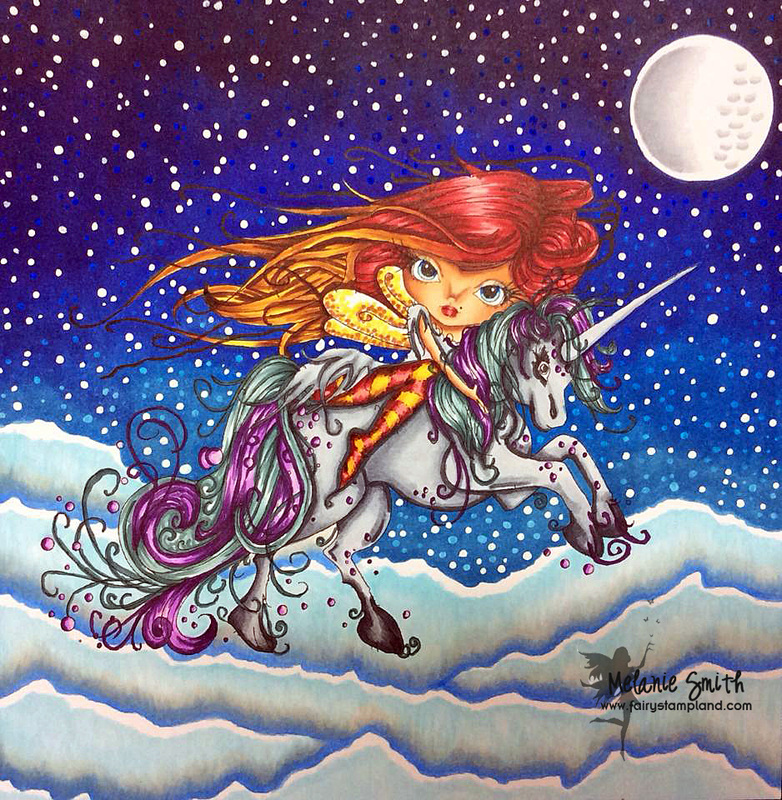 For this piece we have used an amazing image by Polkadoodles Series called Octavia Moonfly. Saturated Canary "My Room" With Frantage Background. Today I have a really fun card to share with you. I wanted to be bright and bold with this one because when my daughter was a teenager she loved all things PINK and loved wild and crazy prints on her clothes as well as her personal belongings. I have used this AMAZING Little Darlings die series called "Darling Square Die Set" I have to say that this is now my all time favorite set of dies. Everything you need is included...The card base shape, The inner scallop square, the sentiment die, the floral spray die, and two different size flower dies which I have used together to form the flowers on the left hand side. 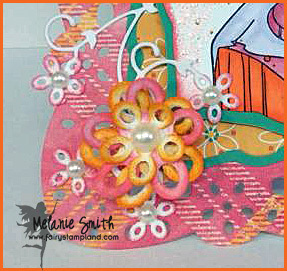 Here is a close up of the floral dies... I am in LOVE! Thank you for stopping by today.... Click on my left side bar to contact me, follow me, or sign up for my email updates.